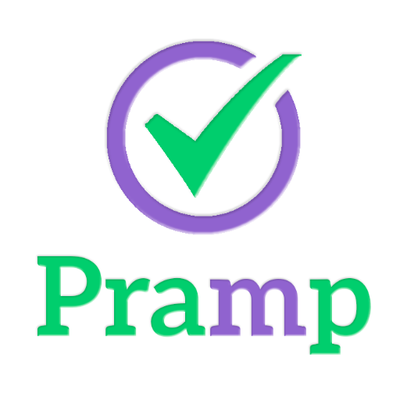 I’ve been using Pramp.com for almost a year now. It is an online mock interview platform. It facilitates peer interviews. And the best part…it’s completely free. During the interview, you will be given a text editor with basic compilation capabilities and test cases. As an interviewer, you get a set of hints and the solution to the problem you will be asking your peer to solve. You schedule an interview at your choice of time between 8 am and 10 pm in your own timezone. The interview slots are available every 2 hours but the interview duration is typically an hour. You can schedule an interview up to 15 minutes before a slot at the latest, else you can opt for the next slot over the time span of a week. You are then matched with a person who is usually at a similar skill level as you are. When the interview begins its either your turn or your peer’s turn to be the interviewer. At the end of the session, you are asked to fill a detailed feedback form which evaluates your peer’s problem-solving ability, code quality, etc. on a given scale. You also fill out positive and negative critique. Your peer does the same and you receive actionable feedback. You are never asked the same question twice. Except for the first interview, you always ask your peer a question that you’ve seen before. If your peer does not show up on time, you are matched with someone else. In very rare cases is the interview canceled. Don’t worry a no show leads to a loss of reputation on the platform. Pramp has great worldwide traffic so you don’t need to worry about finding a match. While the matching is random and the users are anonymous, at the end of the interview you can opt to ask your peer for an introduction. If both of you agree to do so, the email of your peer is shared with you. Be ready at least 2 minutes before your Pramp interview. If you are even 1 second late you may miss your slot. Do not use any pen/paper/whiteboard during the interview, stick to using the code editor. Create a large block comment and work inside it so that your peer can see it too. Try to be as professional as possible. Be acceptable to different solutions to the problem. Ask if something is unclear, do not assume. Don’t use the RUN/TEST capability without doing a dry run. In the rare occasion that you feel that the interviewer does not understand the question well enough, be patient! BE RESPECTFUL OF YOUR PEERS, WE’RE ALL HERE TO LEARN!